The methods mentioned here works only on devices which are already managed by Hexnode MDM. When you set up your device for the first time or reset it, then you’d need to activate the device to use it for normal operations. 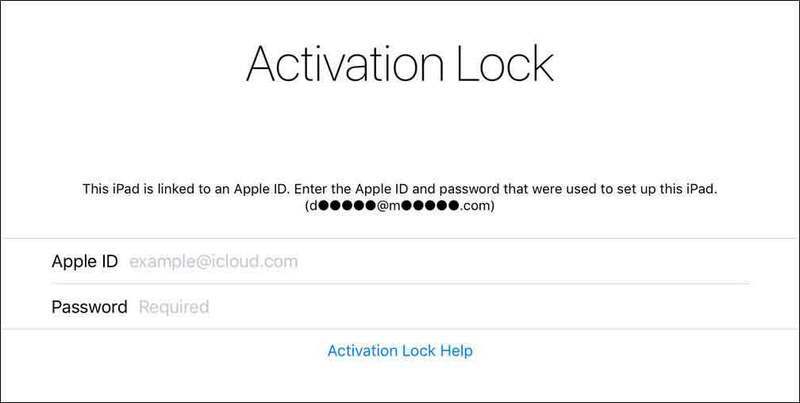 iCloud Activation Lock allows you to lock your device from activating, let’s say when anyone reset it. When locked, the device asks you to enter the Apple ID and password which was previously used in the device to continue with the activation. So, this protects the device from being reset by someone anonymous. Go to Management tab and select an Apple device with Activation Lock active. Head on to Actions and select Clear Activation Lock. The device has to be enrolled with Hexnode MDM to do this. Go to Management tab and select a device running iOS. Head on to Device Info tab, where you can see a section named “Activation Lock” if the device is supervised. There will be two fields, the first let you know whether the Activation Lock is enabled or not. Whether or not the Activation Lock is enabled, there will be an Activation Lock bypass code which can be revealed by clicking on the eye icon. Once you know the bypass code, enter it in the password field when the device asks you to verify your Apple ID and enter the password. This will bypass the iCloud Activation Lock and allows you to activate the device right away. Go to Settings > iCloud on your iPad/iPhone and sign in with your Apple ID and password. From the Settings > iCloud screen, turn on Find My iPad or Find My iPhone option to the bottom of the list of services. Go to ‘Find iPhone’ app and sign in with your Apple ID and password. Wait for the device to be located. That’s it, Activation Lock has now been turned on.